The rogue creates files on the system so it can detect them as infected items. 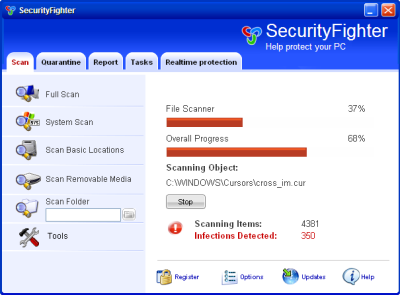 A new componant came with TrustWarrior, it's going on with SecurityFighter. A RootKit patches files in memory: dump_atapi.sys and dump_WMILIB.SYS. BleepingComputer Security Fighter removal guide.